Good to see some Kid Acne work poping up around the Streets of East London the last few days. To see more of his work check out his blog while he works on a full website. 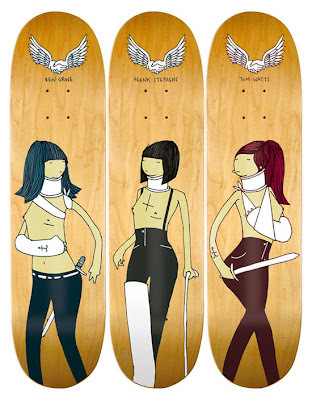 Also head over to Endemic Skate Store and bag yourself one of the skate decks he has designed for Unabomber.